Begun in Norway in 2004 by guitarist and vocalist Profanation of Deity (who was already involved in numerous other projects), Unholy Crucifix was a one-man project until 2010 when he initiated S.M. Azazel into the band. Since then, the band’s sound has evolved and taken shape. Throughout the years, the band has released numerous demos and split releases leaving behind a daunting catalog, but has not, until now, recorded a proper “album” of material. 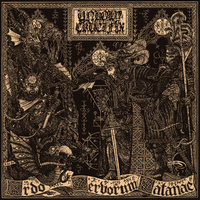 Entitled “Ordo Servorum Satanae,“ this album is cognizably different from most of the band’s previous work, but retains the same blasphemous presence. Here Unholy Crucifix perfectly exemplify the nature of a band segregating its demo material from its album material and realizing the inherent character of each as different tools within a vast arsenal. Fans of the band’s earlier, more chaotic work, will be satisfied by the ferocity of the tracks here, while those seeking a more comprehensible and versatile approach will find this release equally satisfying. 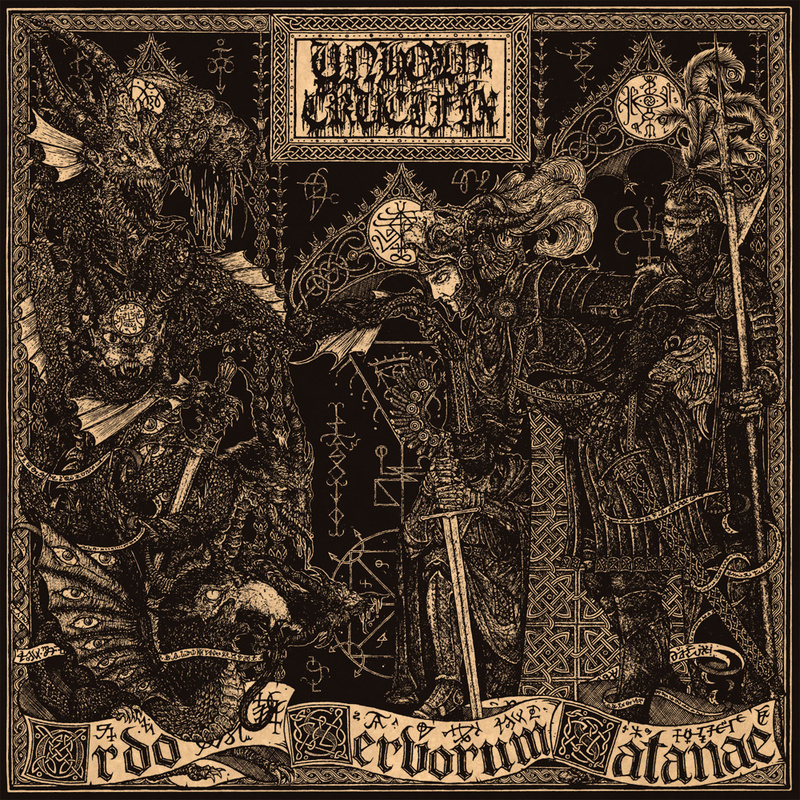 Adding to the atmosphere of this album is the hallucinatory and demonic vision of Croatian artist Marko Marov whose detailed and ornately horrific pen and ink style perfectly complements the sound of the record.